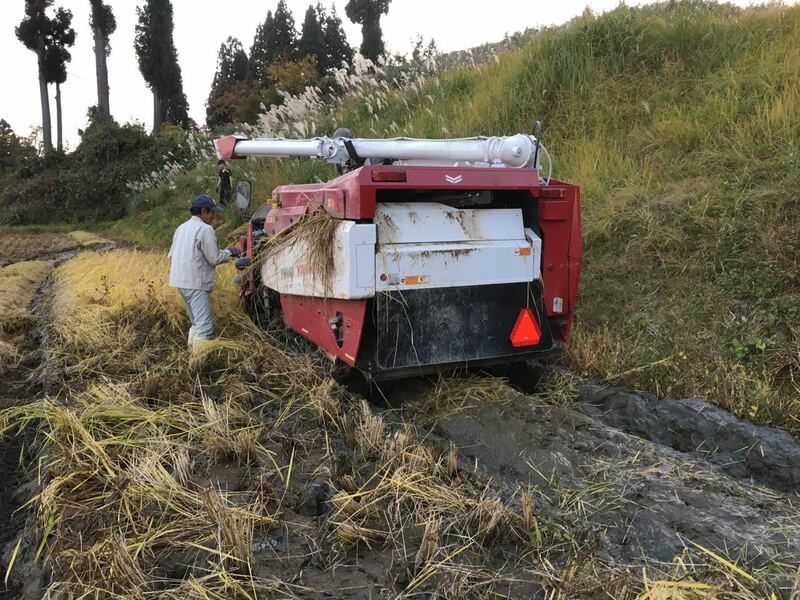 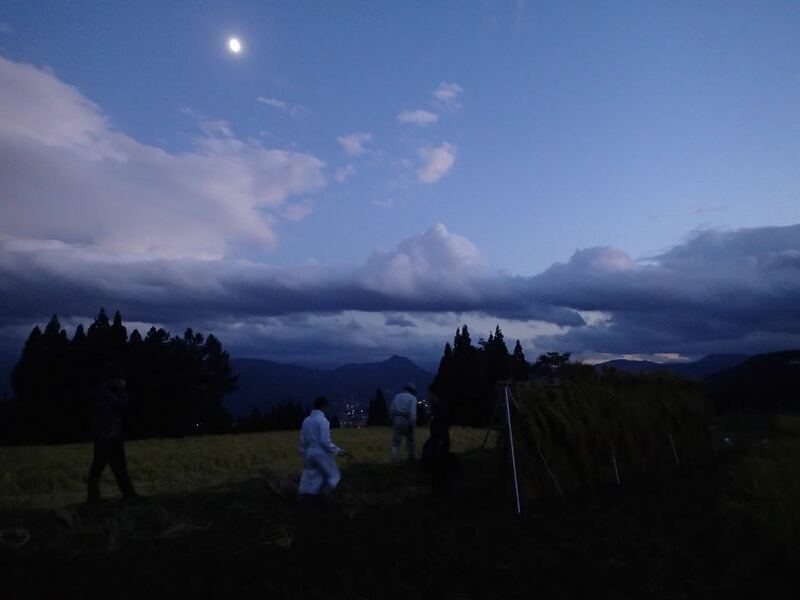 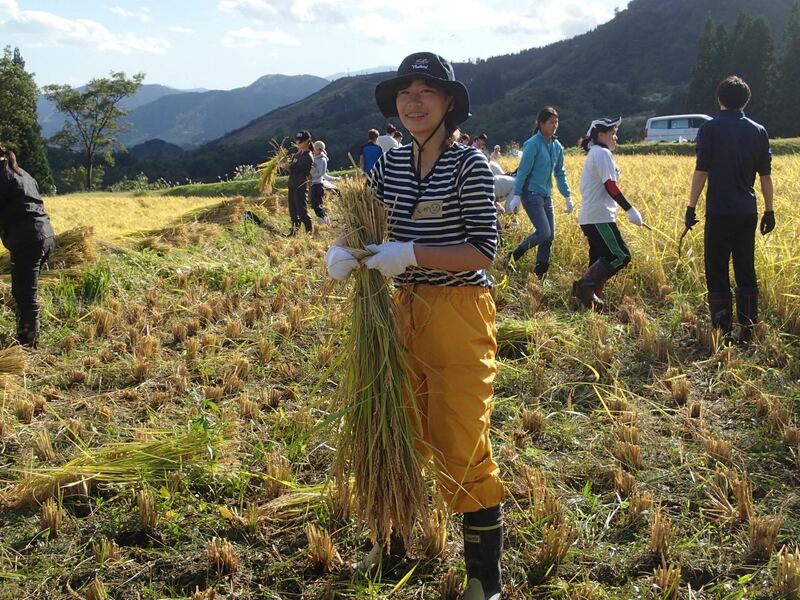 Under the clear sky, enjoyed rice harvesting with people from 8 nations. 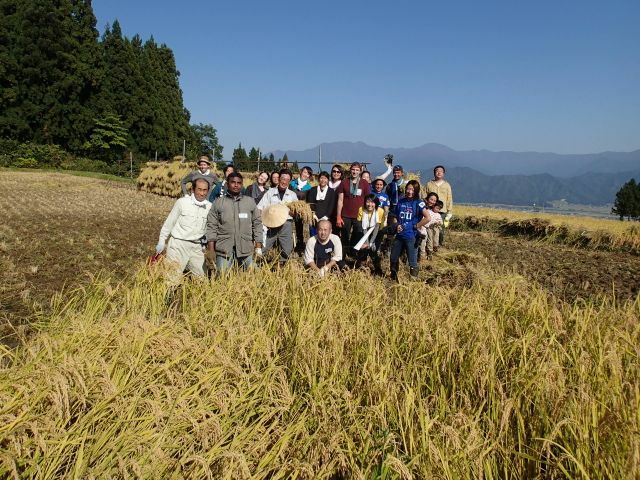 People from city area including from Australia, Bosnia, Canada, and other countries enjoyed rice harvesting workshop. 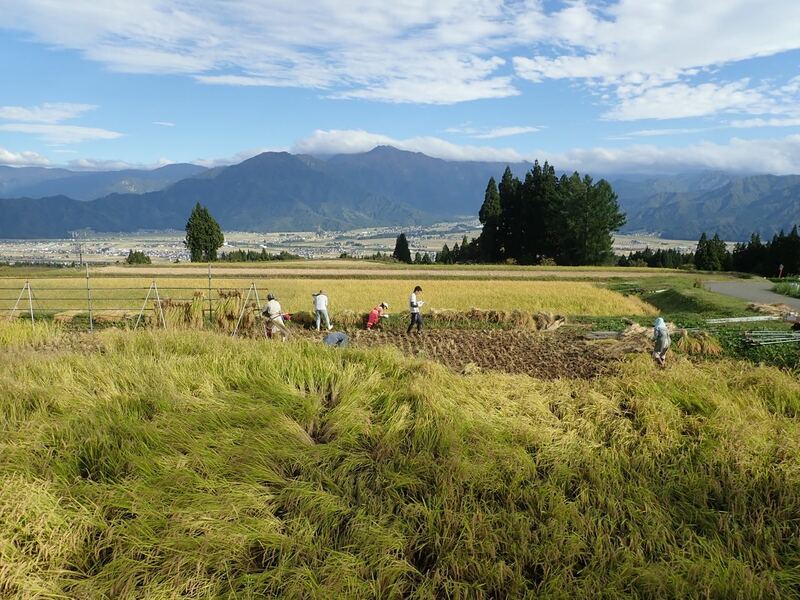 Gorgeous view from the terraced rice paddies overseeing mountain ridges of 2,000 meter high. 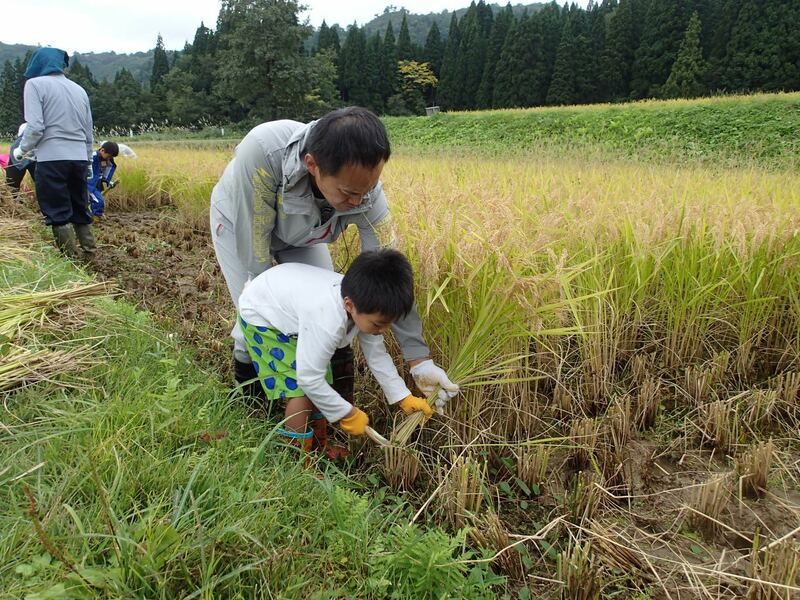 Chasing frogs and grasshoppers, a family enjoyed the harvesting works. 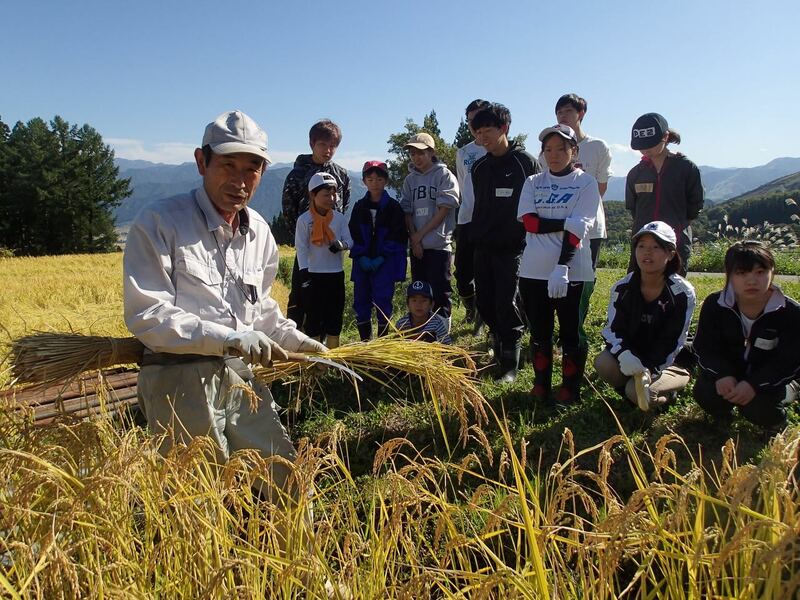 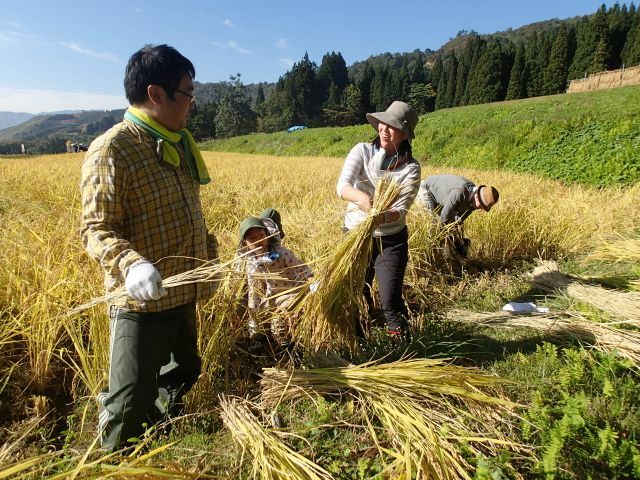 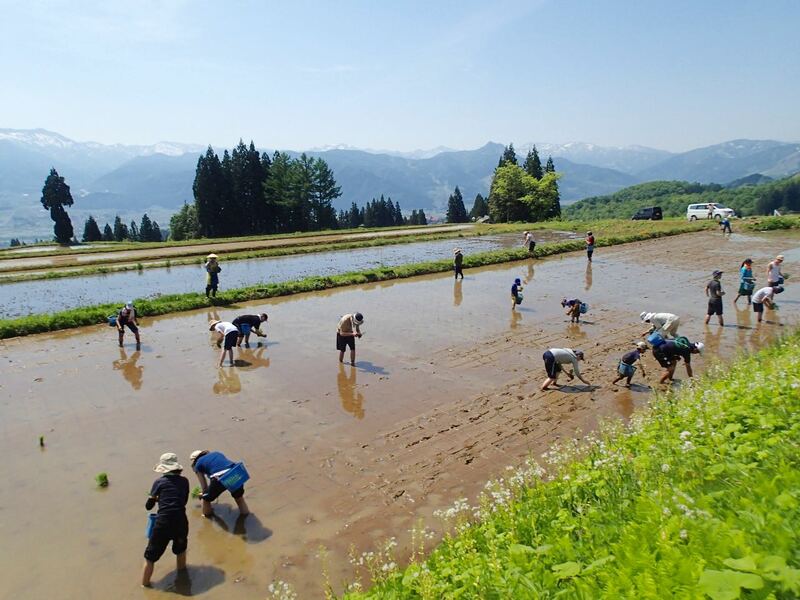 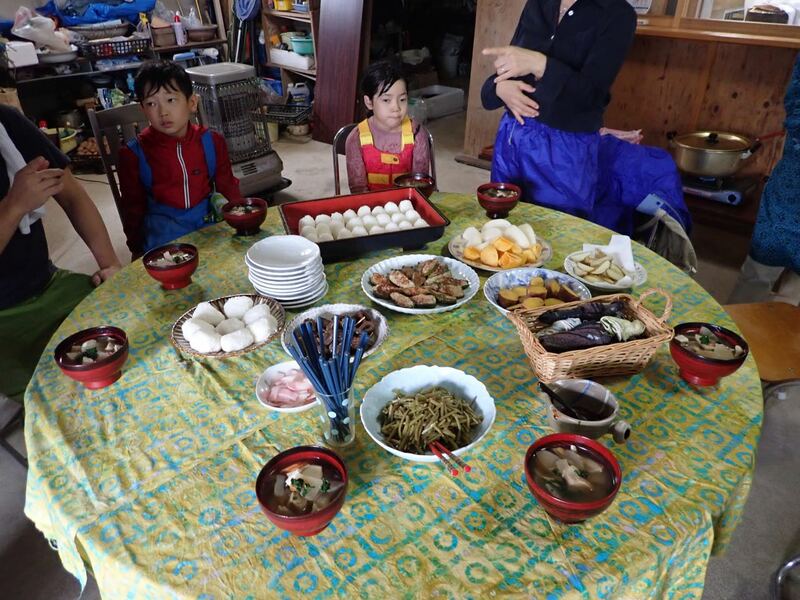 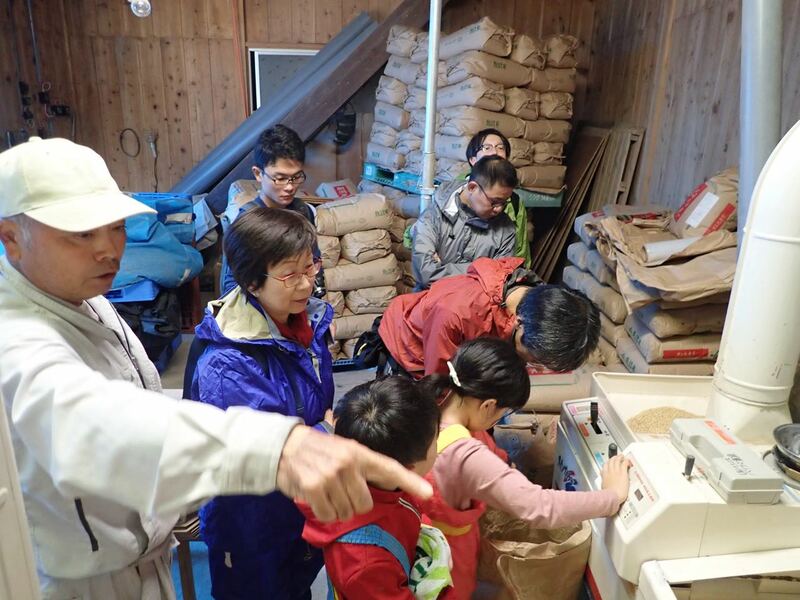 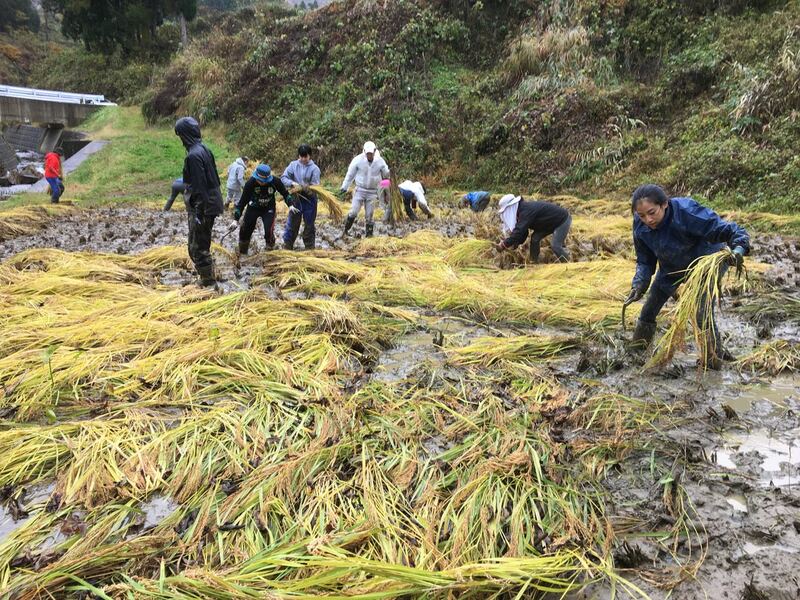 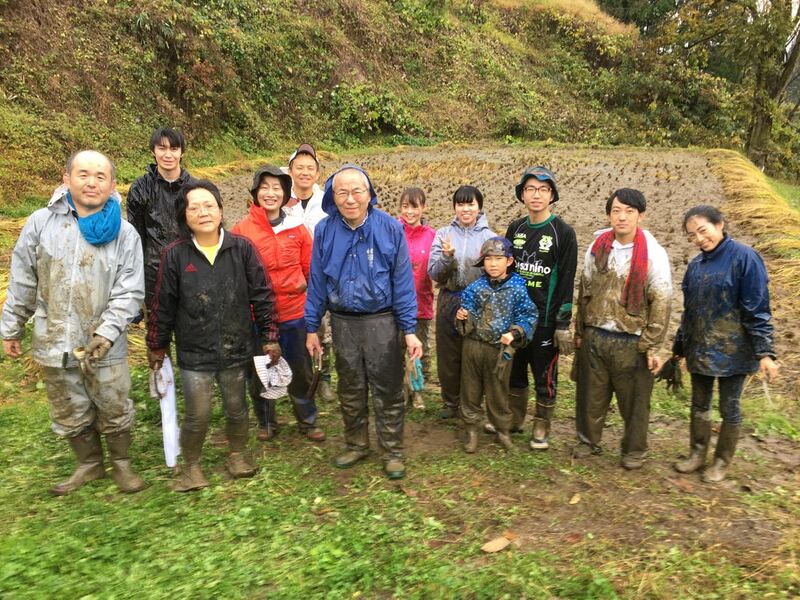 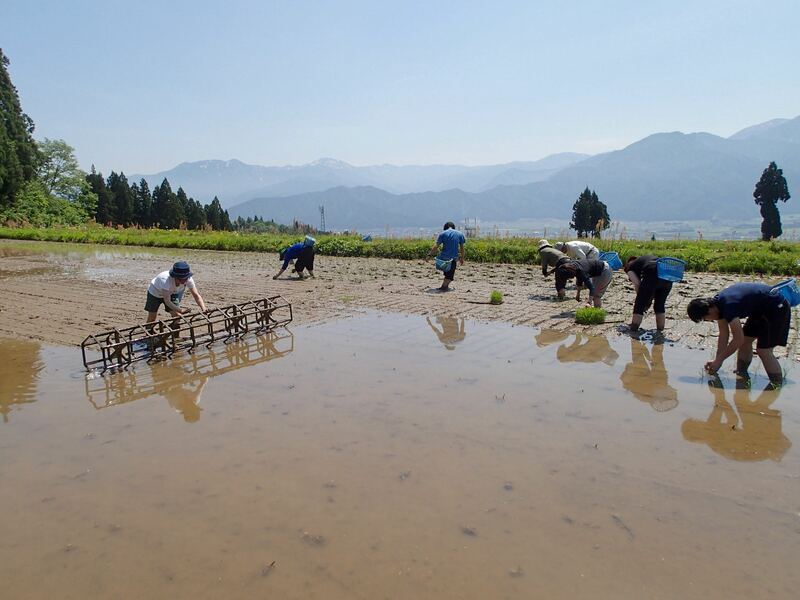 People from city area including from Australia, Bosnia, Canada, and other countries enjoyed rice harvesting workshop, a part of \”ABC\” in a rice paddy program, last weekend, 11-12 October in Tochikubo, Niigata. 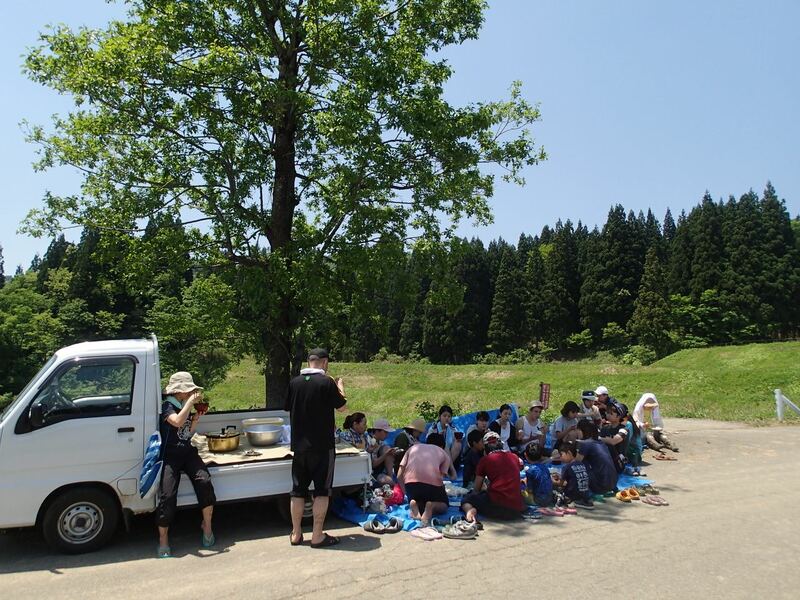 Those, from 8 nations including Japan, gathered at the community center of the village at 1 pm on Saturday. 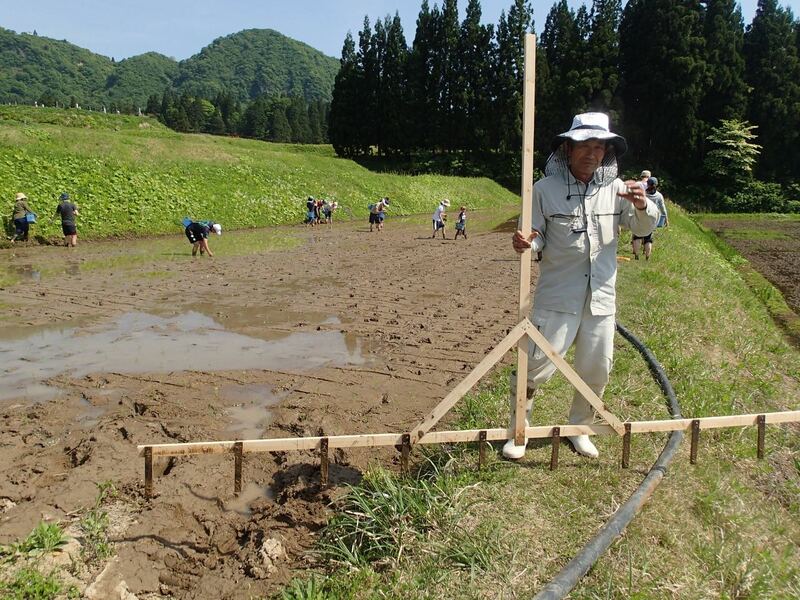 Mr. FUEKI Akira, one of the local leaders, introduced brief history of the village since \”Sengoku-Jidai,\” or worriers period about 500 years ago. 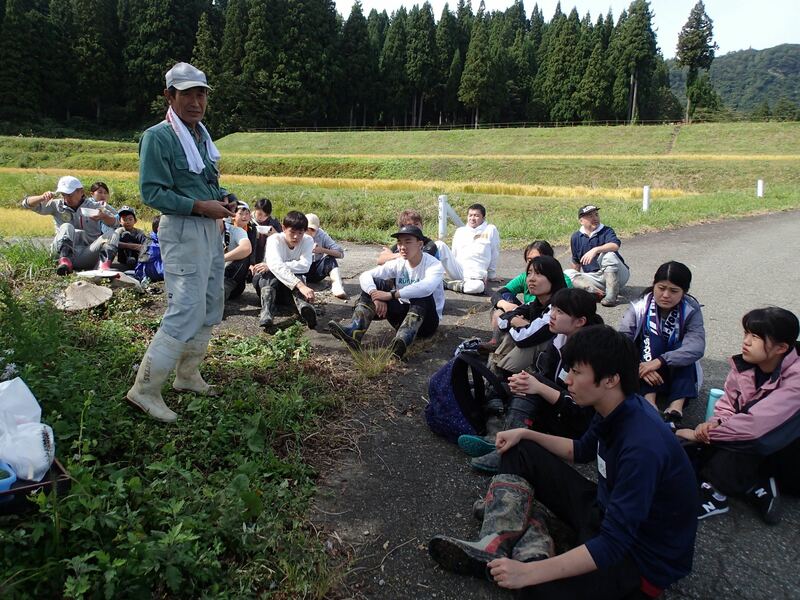 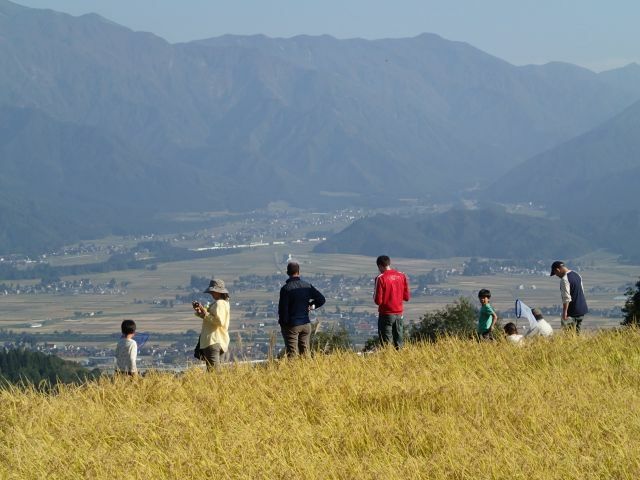 In the class after the walk, Mr. FUEKI talked about rice faming from business perspectives. 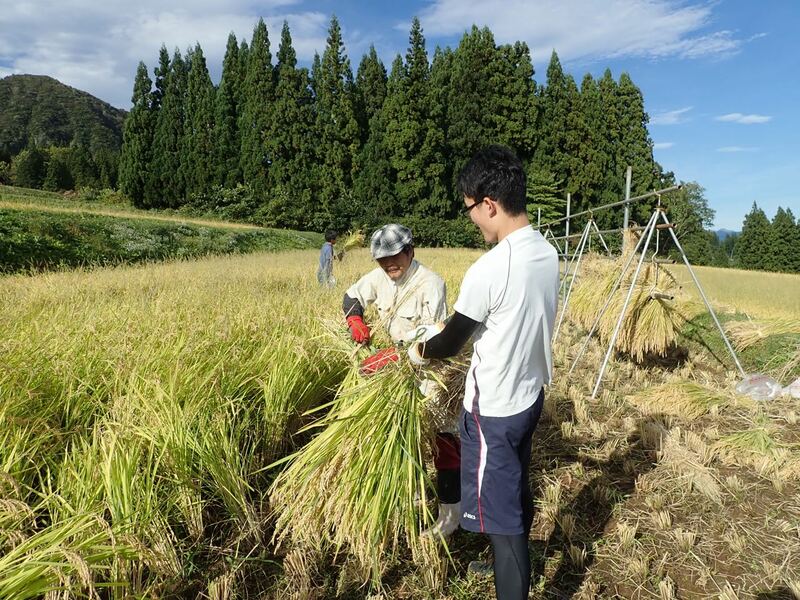 According to him, selling price to \”Nokyo,\” or the Farmers Association, is 15,000 JPY per 60 kg, Production from a rice paddy of 1,000 sq. 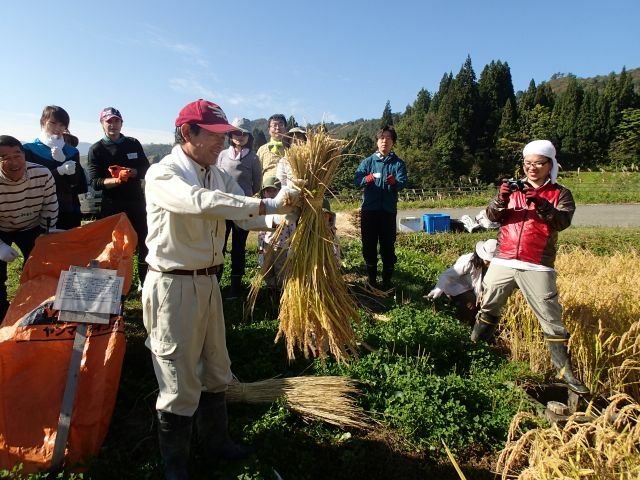 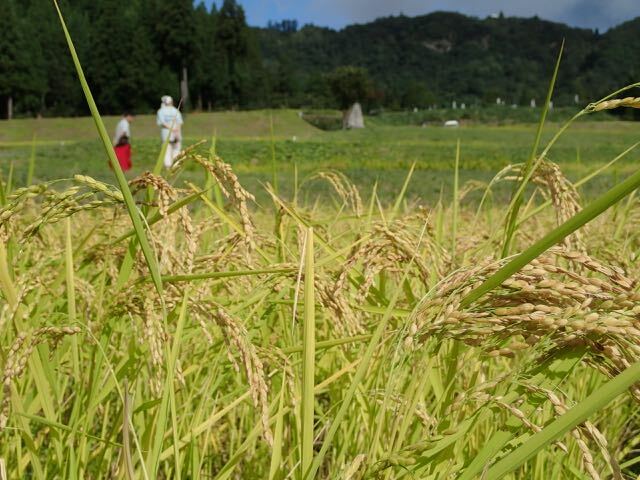 meter would be like 540 kg and total income from one standard paddy would be 135,000 JPY. 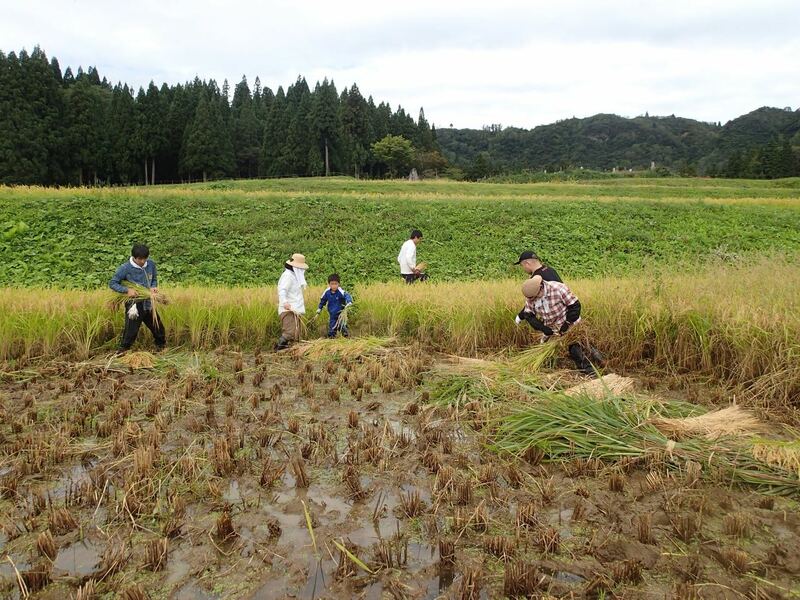 One family in the village owns 1 ha of the rice paddies in average. 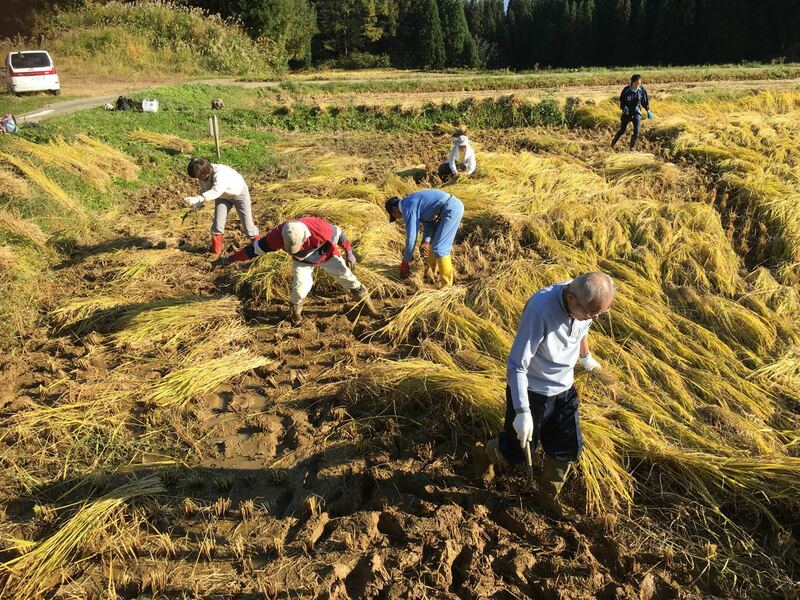 So total income to one family from rice would be 1,350,000 JPY although for that farming machines which need millions of yen for each each. 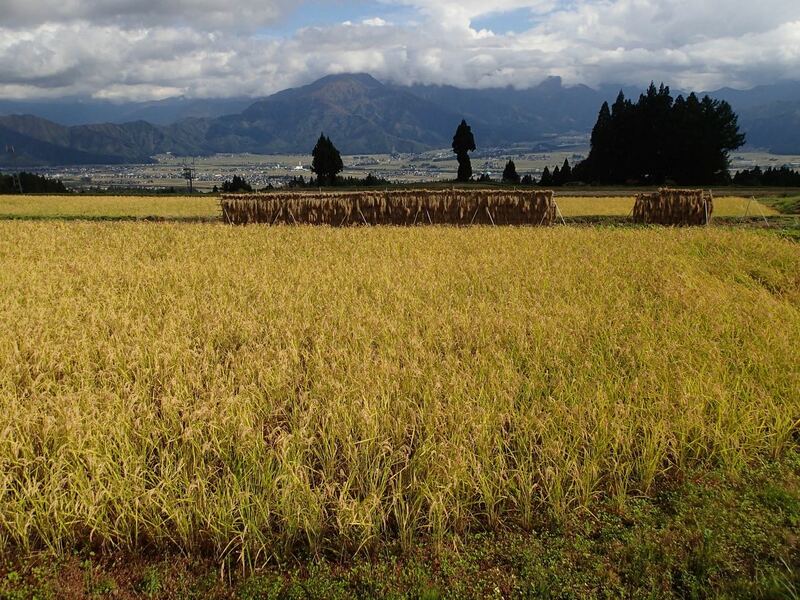 Based on those factors they exchanged opinions over the rice farming and the future of Japanese rural societies.